to create high resolution digital terrains. manipulation and processing of large volume datasets. For a total immersion in your imagery data and in a specific surrounding universe, remote or of difficult access, VR2Planets offers purpose designed applications. We specialize in very high definition 3D modeling and in virtual environment creation. We fully guarantee to respect the scientific data’s integrity, and provide fluidity in use and a high-quality experience. We create interactive multi-user virtual reality applications. Our softwares enable you to visualize a large volume of data for any type of hardware in a totally immersive mode, even when several users are possibly located on different continents. We also supply additional services for your exhibitions and professional events: the 3D CAVE, a dedicated immersive space. With a capacity of up to 15 viewers, this is a very effective tool to demonstrate your data to your visitors. will carry you in high definition to several body’s solar system. 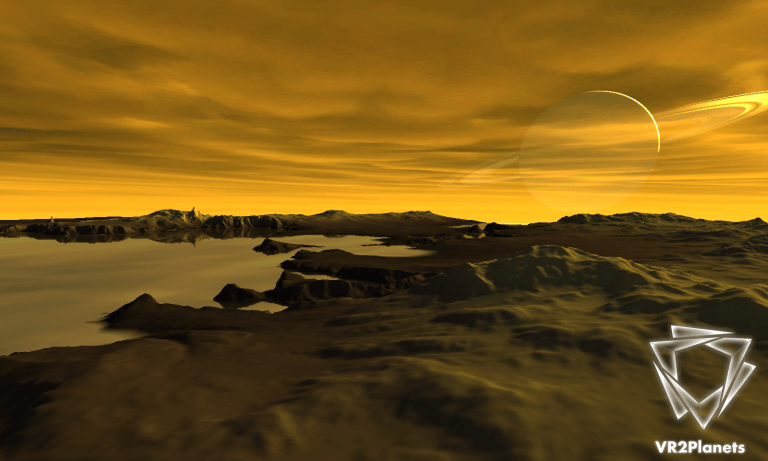 Travel to the breathtaking landscapes on Mars planet in an edutainment environment. Either flying over the lands or walking on the ground, you will see the whole scientific images available. 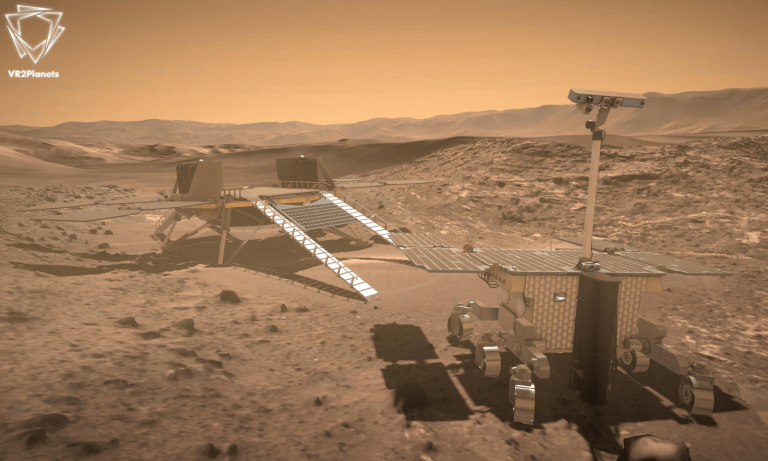 You will lead an exploration to observe ice-fields, craters, volcanos or even the polar ice-caps, and interact with the Curiosity Rover and the future Insight or ExoMars probes. This extremely realistic experience, will make you acquainted in full dimensions to the datasets collected by the American and European exploration missions. Live again the Rosetta mission adventure and get close to the Chury comet (Churyumov-Gerasimenko/67P) thanks to this application using the extraordinary images sent by the orbital probe Rosetta and the Philae lander. Get immersed into the geological complexity of this small body by discovering its craters and dunes, shot from the orbit. 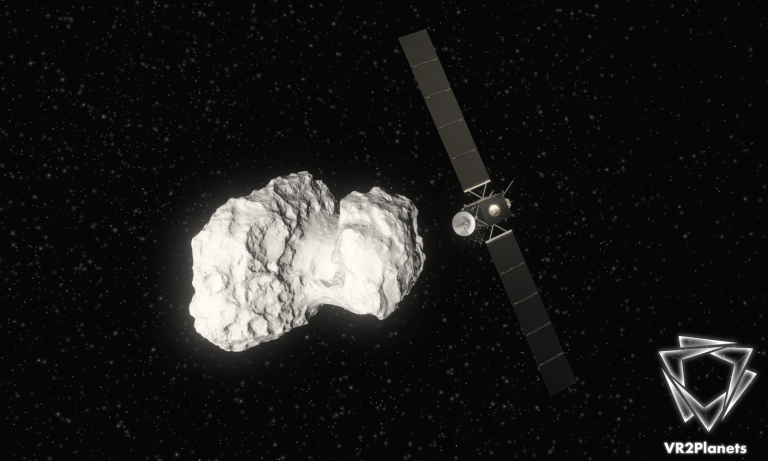 Appreciate the images loaded during the Philae landing, an European exploration prowess. Thanks to the spatial exploration mission Cassini-Huygens, the American orbital probe and the European lander collected an exceptional imagery data. Reach this extremely remote environment through this application recreating the controls sent to the robots (fly-over, image shots and landing) to explore this Saturn satellite. The VR2Planets adventure starts at the ” Laboratoire de Planétologie et Géodynamique ” in France, at the Nantes University, by the will of two of their researchers in order to improve the scientific knowledge diffusion and, in particular, the retransmission of imagery data acquired by the space exploration probes. The new technology of virtual reality offers a fantastic tool to work on the complex available data. Therefore, they could visualize in three dimensions the studied lands and cope with a higher data volume. These technologies make possible a great improvement of analysis and understanding of the information which become the basis for a new exchange quality with their colleagues and the general public. 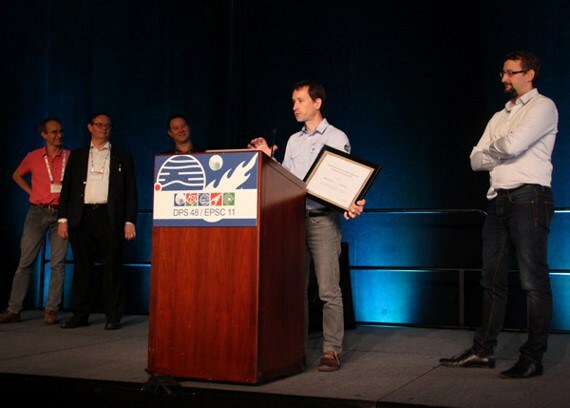 Award of the EUROPLANET 2016 prize : ” Engagement Public with Planetary Science “, remitted upon the DPS-EPSC International Congress in Pasadena, USA. 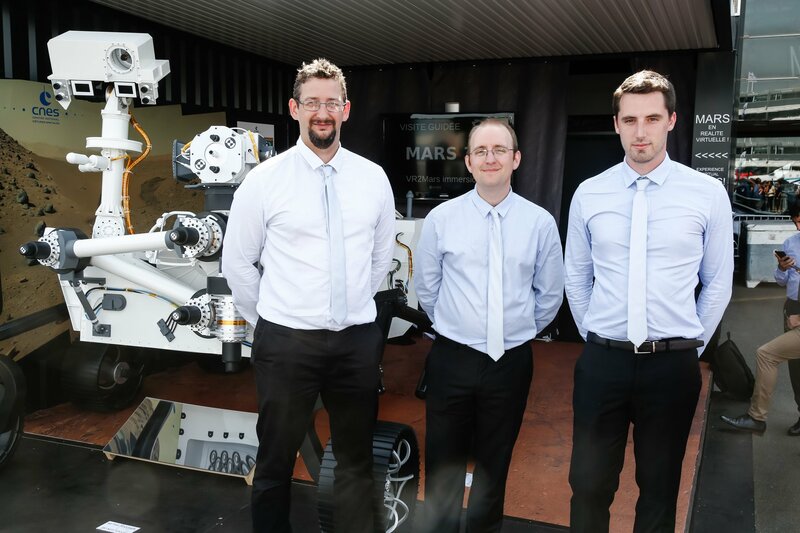 Supported by the large interest generated by their research, François Civet, at that time researcher in planetary electromagnetism at the CNRS (LPG – Nantes) creates VR2Planets in October 2016 and engages specialists in 3D modeling and in algorithm optimization. Together, they optimize to the highest level the data studies. Franck Marchis has joined the team as a scientific advisor. 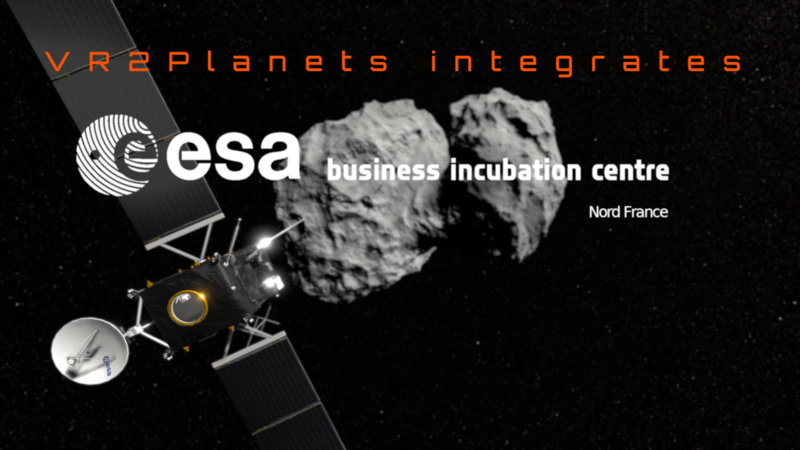 The start-up company offers high level services for complex datasets processing and cooperates since its creation with the French space agency CNES, the CNRS and internationally recognized scientific laboratories, such as CEA, IRAP, IPGP, LAM, FIMOC, among others. 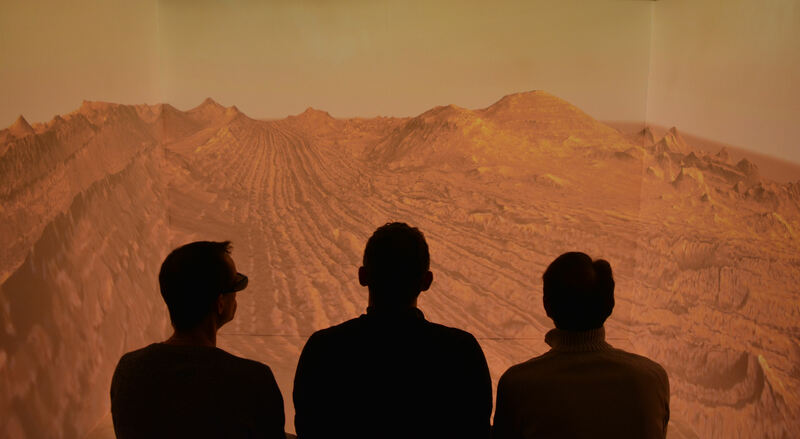 The Bourget International Air Show 2017 : The VR2Planets’ team demonstrates a virtual reality application at the CNES pavilion and takes the numerous visitors on Mars.